Happy Monday friends! Back with another look from my trip to Maine (recap coming tomorrow). MAN WAS IT COLD! We snapped these photos when we ventured out to find donuts (hehe), but of course the town was closed because of the weather (I mean it was that cold). Just my luck. The good thing to come from this trip was the fact that I was able to really break in my new hunter boots. I've been wanting a pair for a long time but I didn't want to be like every other blogger out there. So I searched and found a pair of yellow rain boots -- because that's different, right? 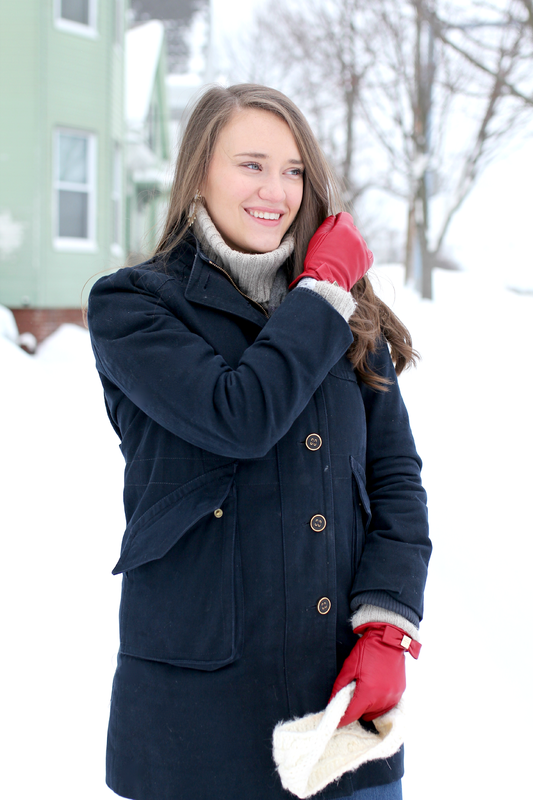 At first it was tough figuring out how I could wear them (I mean, they're yellow) but I did take a little inspiration from Paddington Bear and added red gloves for the full effect. Navy and yellow seem fun to me. What do we think?! I love these! Hunters are my favourite boots. I have them in purple and they always brighten up any outfit. I'm totally jealous of your yellow boots, they're on my wishlist! 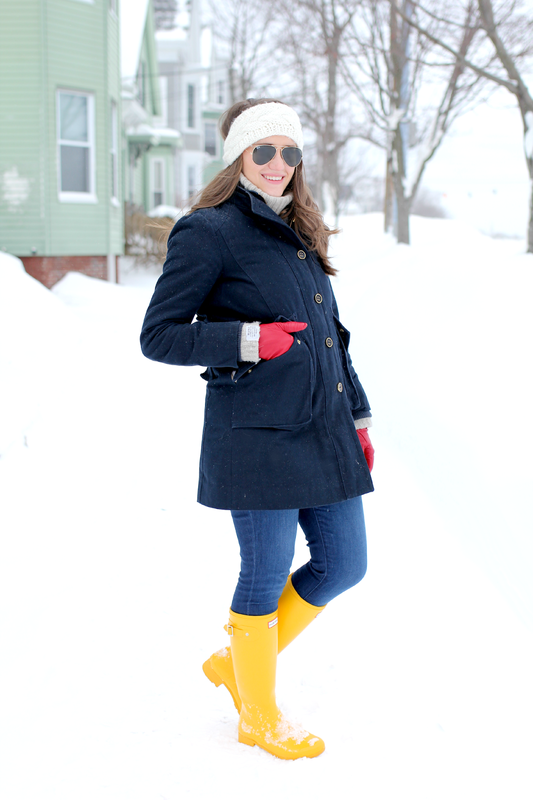 And you're right, navy and yellow is so much fun! I think you look ADORABLE!! I love those boots! 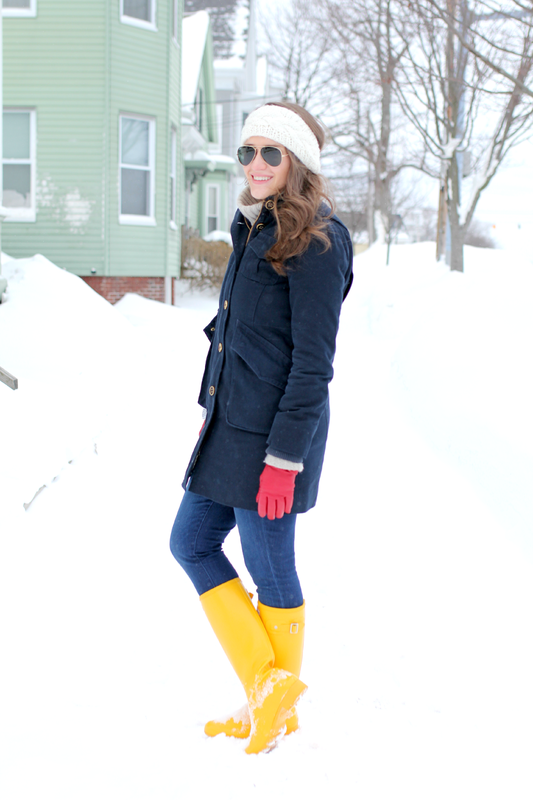 Love the bright pop of color the Hunter boots add to your outfit! Such a cute cold weather look! loving the yellow boots, they remind me of the pair i had when i was little, in a good way!! I recently passed along my purple hunters to my cousin--they just weren't getting any use out here in LA. But when I lived in Boston, they were an absolute god send for the dreaded "wintry mix" precipitation! You've got to get the socks that go with--so snuggly!!! Love the navy & yellow! Perfect combo! 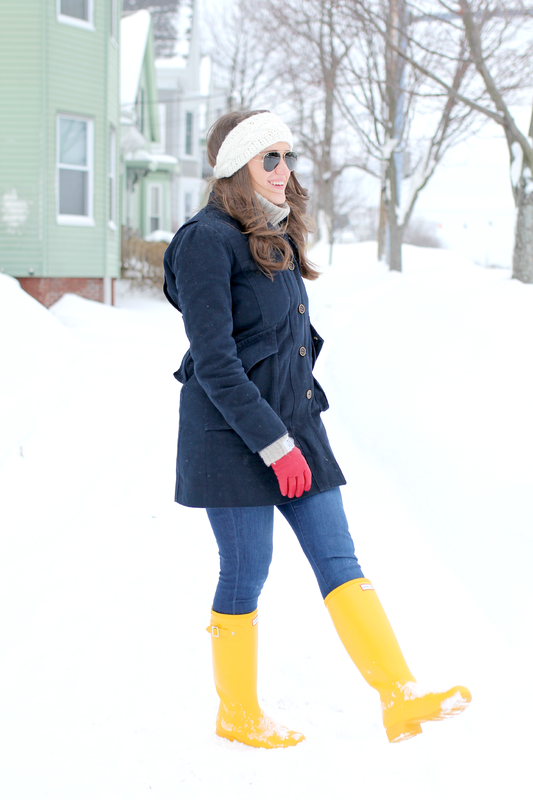 I am so obsessed with the yellow Hunter boots. I think it was a risk and it for sure paid off. 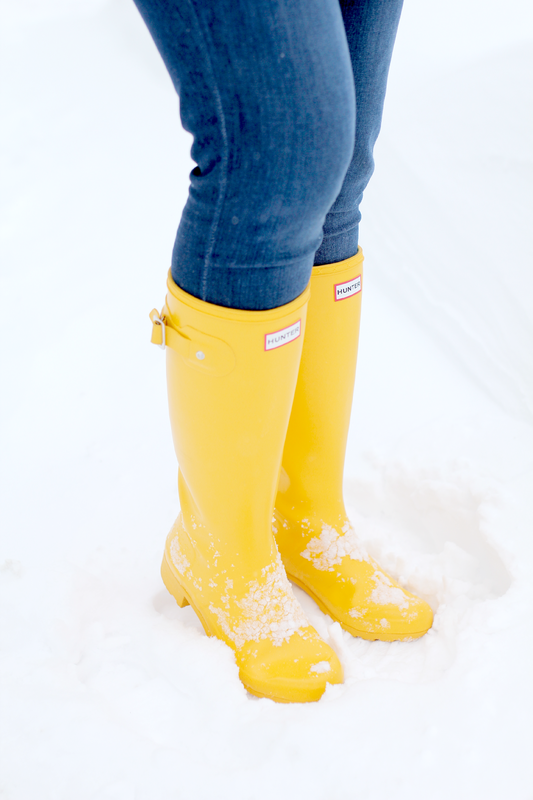 Love your new yellow Hunter Boots! I have a pair in green and wear them to death in winter months. 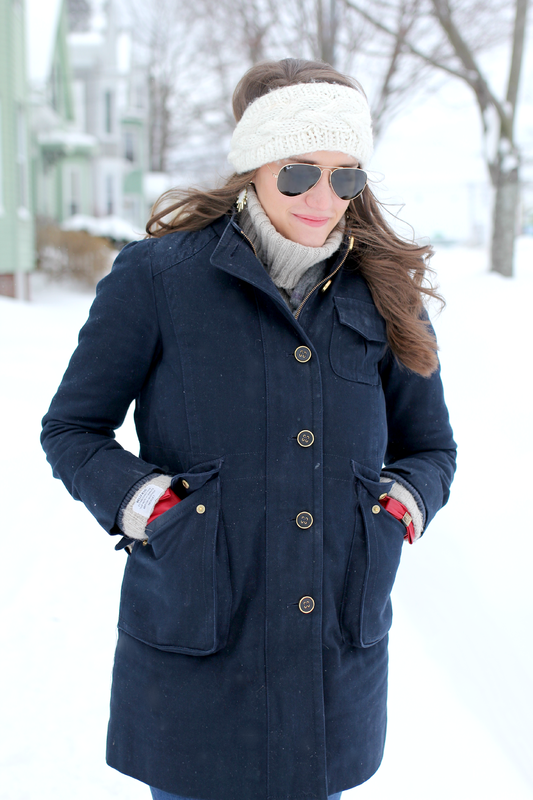 Such a cute look, and they look great paired with your navy coat. Haha I don't think I have ever seen a pair of yellow Hunter boots before. They are so much fun! Love the yellow Hunters! I'm guilty of being like everyone else and having a black pair. Glad you found what you were looking for. I would most definitely brave the snow and cold for donuts and then proceed to be devastated when everything was closed down. But this look is giving me life! I've never purchased hunters, but have actually started to really love them and I have to say I'm obsessed with the yellow color. 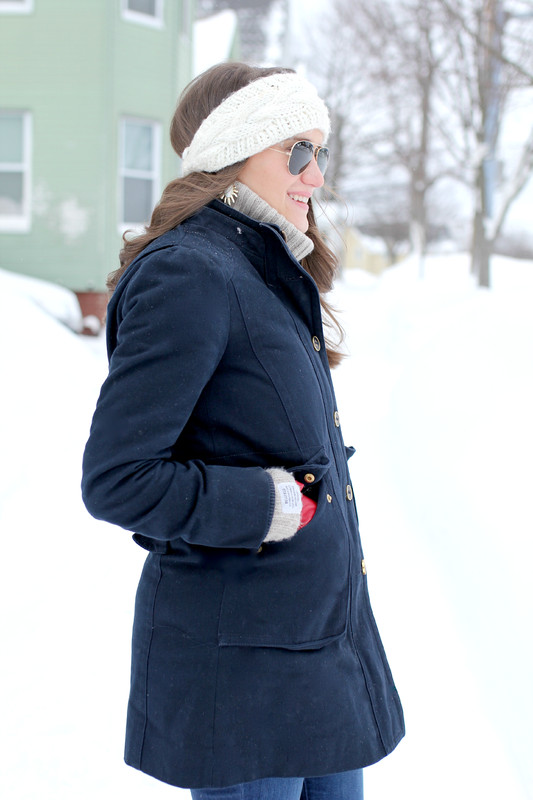 So gorgeous and it compliments the navy perfectly. Should you put resources into a couple of children hunter rain boots? Purchasing boots for kids can challenge for several reasons. Kids are extremely dynamic and their shoes wear out effectively. Thus it is vital that their feet are shielded from the wet and chilly.